designed and manufactured by AeroPanel. 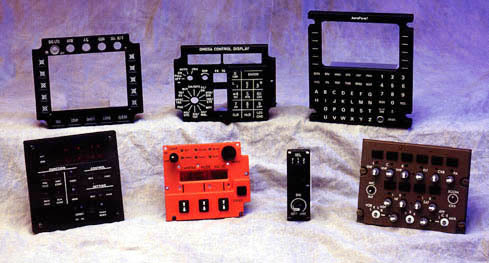 AeroPanel Corporation is a manufacturer of display panels and instrument display components used in: aircraft, aircraft ground support equipment, ship equipment and other precision instrumentation. AeroPanel has the facilities and the personnel to design and manufacture high quality displays to your specifications. AeroPanel combines the necessary technical and manufacturing skills with modern fabrication, processing and inspection equipment required for a highly visible product.